What inspired you to found your baby cosmetics brand? I’d always been sensitive to the child’s world. With the arrival of my daughter Paz, I suddenly discovered a new energy and desire to create. 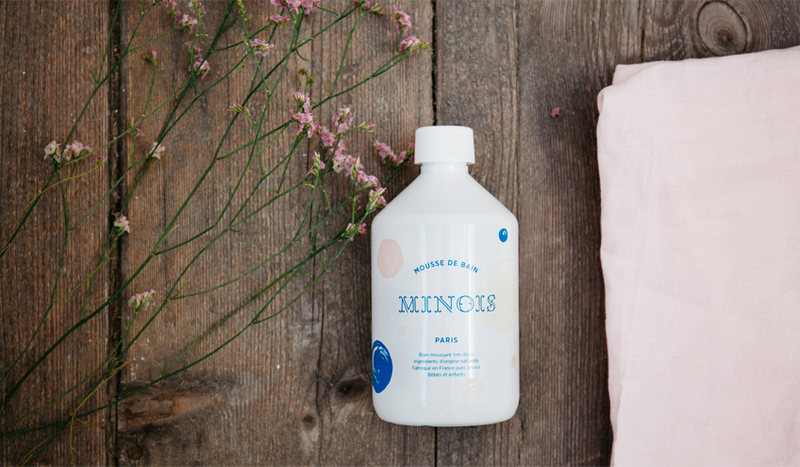 That’s when I decided to launch Minois Paris: products that were safe, easy to identify and use. I’d held different positions in marketing and communications for about ten years. Beauty had always fascinated me. I work in tandem with a laboratory specialising in organic and natural cosmetics. After extensive testing, we found the perfect formulas. The formulas are very gentle, based on natural and organic ingredients. The products are specifically designed for children’s fragile skin. They can be used right from birth (no parabens, no phenoxyethanol, no sulphates and no silicone or dyes).